There are 4 cat videos tagged with outside. 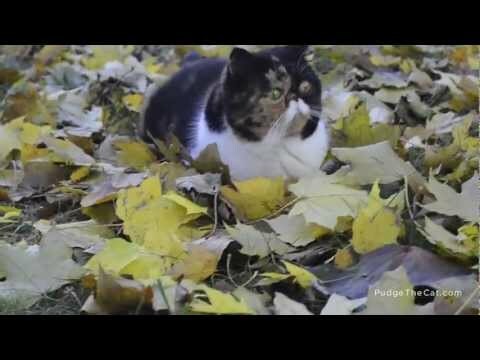 Pudge experiences fall for the first time. First, she watches the leaves floating to the ground. Then she gets to go outside and play! 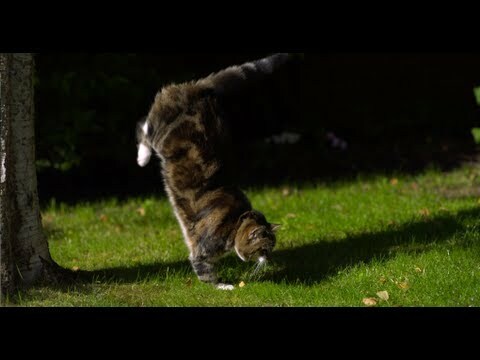 Lloyd the cat shows off her jumping skills in slow motion. See all of her skin wrinkle as she lands on the ground after she jumps from a tree. A pile of leaves is a great place for an adorable cat to play! There is spring out there! 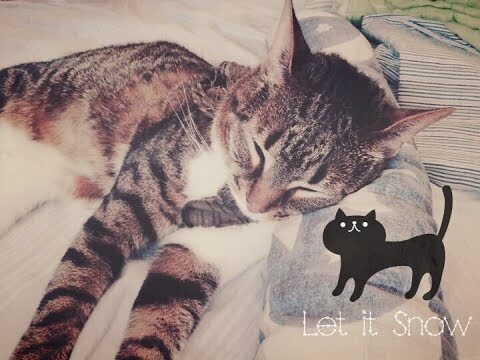 Let meowt! All Gilbert wants to do is get outside and enjoy spring but he can't get past a screen door no matter how hard he tries. 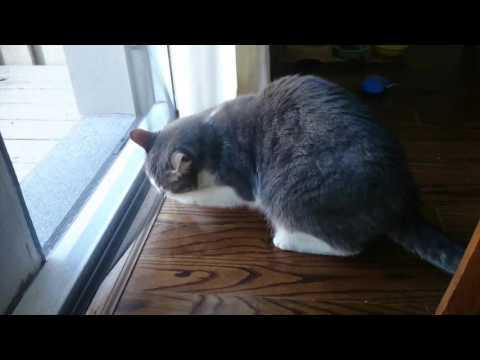 We've all had a cat in our lives that wouldn't give up when it came to wanting to go outside and he's no exception.